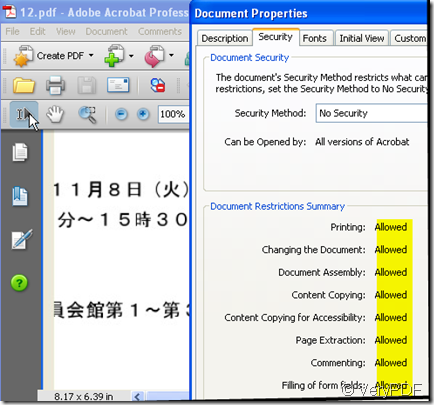 Some of the PDF files are password protected, so they can not be copied , printed and so on. I will show you a software which can remove the owner password. It often occur to us that we can not print the PDF files even if we have the right to it. Say you want to print the a PDF file which was made by your colleague who had let the company. Then you can not print it even you have the right. However, if you print the PDF files you do not have the right, please do not use this software. It is illegal and immoral.Then I will show you how to remove the owner password then you can copy, print and change the content of the PDF file on the condition that it is legal. 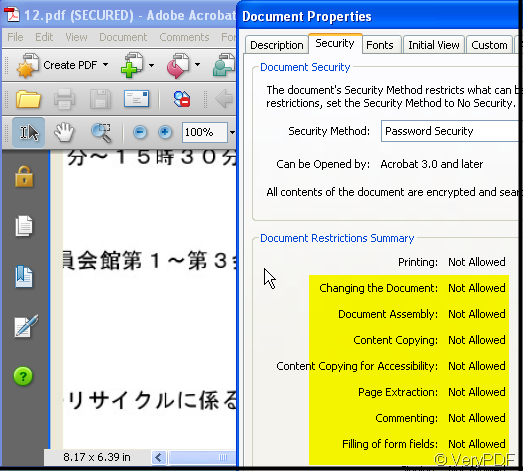 The software is PDF Password Remover v3.1 which can be used to decrypt protected Adobe Acrobat PDF files, which have "owner" password set, preventing the file from editing (changing), printing, selecting text and graphics (and copying them into the Clipboard), or adding/changing annotations and form fields. Decryption is being done instantly. 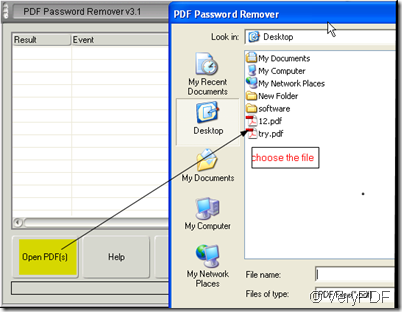 Know more about PDF Password Remover v3.1. There are two kinds of versions of PDF Password Remover v3.1, you can choose the one you really need. It also can be used as MS doc execution File. So for the customers who are used to command line, it is also convenient. Run the pwdremover.exe on your computer then you can use it to remove the owner password. Add the PDF file with owner password to it. I will take a PDF file with the owner password for example. The example file is limited for many right such as printing, changing and so on so forth. 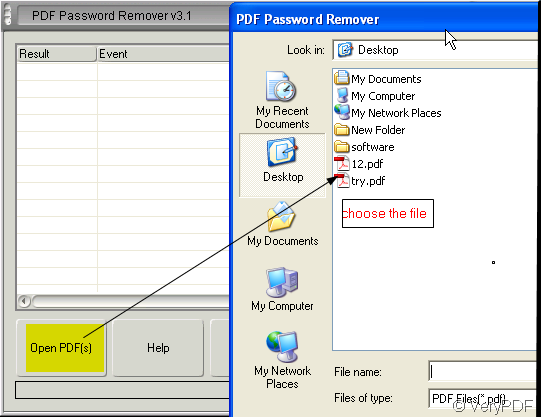 I will add this file to PDF Password Remover v3.1 to remove the owner password. 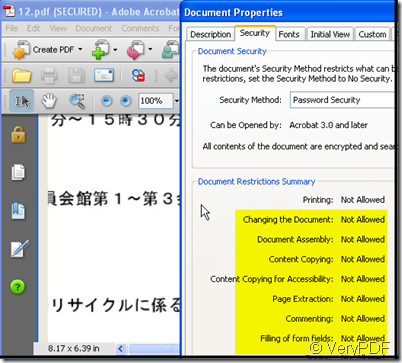 After naming the new PDF file the owner password will be removed automatically. It like the picture shows. Now through checking the property to know whether the password has been removed. By this way, we can remove the owner password. Then no matter copying or printing is not a problem for you. Matter needs attention. This software is appropriate for the PDF files who have the open password unless you know the password then you can use this software. Or you can break the password successfully. This entry was posted in PDF Password Remover and tagged owner password, PDF Password Remover V3.1. Bookmark the permalink.